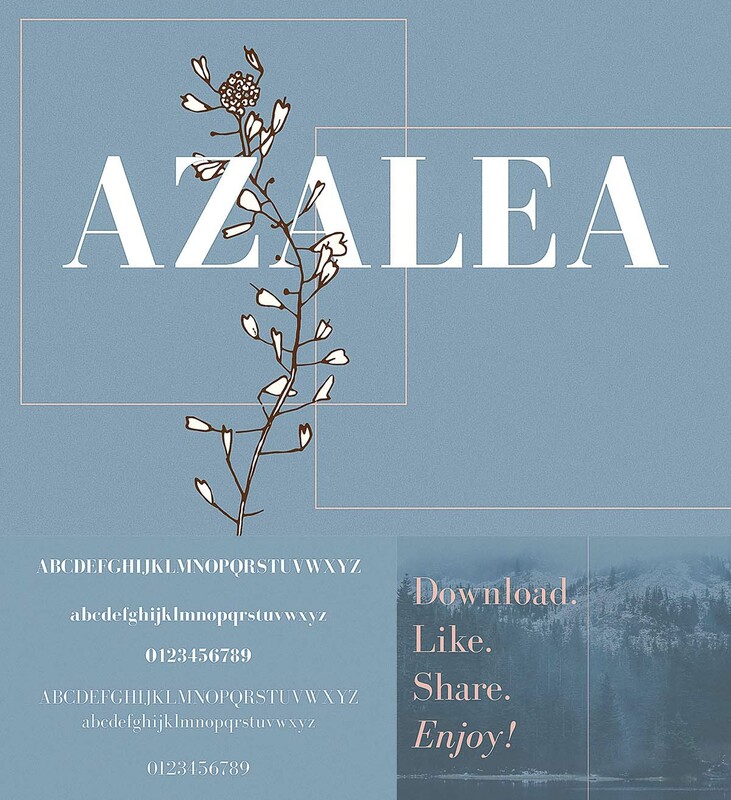 Azalea is a classy serif typeface that looks incredible in every context. Perfect for logos, branding, invitations, and more. Tags: classic, classic font, elegant font, serif, style, typeface.